In just under a month over 1500 competitors, from around 30 nations, in 1000 RS boats will be descending on Weymouth and Portland National Sailing Academy for the dinghy sailing event of the year – the 2018 RS Games. Set to be a true celebration of the life-long community and lifestyle that is so special to many sailors around the world, the RS Games kicks off with the RS Aero and RS Tera World Championships, followed by the RS Feva Europeans and RS Venture Connect Open. The latter half of the event sees the Nationals and Europeans for the RS100, RS300, RS400, RS600, RS700, RS800 and RS Vareo classes, concluding with the massive RS200 Nationals and RS500 Worlds. The RS Games have a number of official partners, all of which have helped make this event possible. We would like to thank Noble Marine, Zest Boatworks, Andrew Simpson Foundation, Harken,Yachts and Yachting, Volvo Cars UK, PA Consulting and Rooster. Weymouth & Portland National Sailing Academy (WPNSA), the 2012 Olympic Regatta hosts, have all the experience and space needed for such an enormous event which looks set to top the last massive RS Games that saw 9 classes and 900 competitors back in 2011. Weymouth Bay and Portland Harbour between them provide some of best and most versatile race areas in the UK. WPNSA have been awarded event sustainability recognition, proudly achieving ISO20121 standard, which compliments RS Sailing’s own sustainability focus for its boats and operations. Technical Clothing Partner, Rooster have designed a range of clothing and accessories specifically for the Games with all registered entrants receiving a promo code to save 20% off RRPon all official merchandise.Available to order online now or purchase at the event. 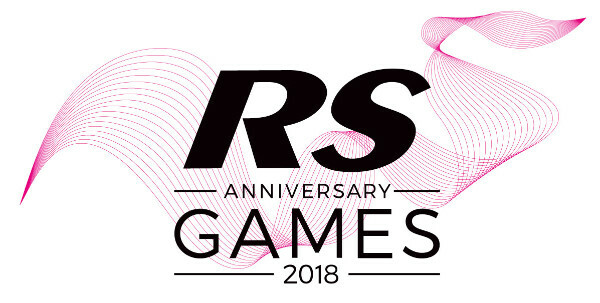 The RS Sailing Store is on hand to assist with boat preparation and offering a £75 Rooster RS Games kit voucher for any full suit of sails purchased for the Games, or a £20 voucher for an individual sail bought. The social programme for the event was released back in May, and has been designed to keep sailors and supporters entertained, fed and watered from the day they arrive until the final sunset. There will be something for everyone, from the big RS parties and Championship dinners, to laid back BBQs, chill out meals and fun inflatable games. RS Sailing are also offering Championship Discount in the form of a voucher for anyone or any immediate family members participating in more than one event at the RS Games. Further information on the Championship discount can be read here. Lastly, for all event related updates, photos, video and camaraderie keep an eye on the RS Games Facebook Page, dedicated to the month long event.